Before Angelina Jolie was a household name, she was in a 1995 movie that became an instant cult classic: Hackers. The movie, which romanticized the art and science behind hacking, did very little to demonstrate the real world of computer and Internet security attacks. It was a fun watch, but there were no bogons, twonkies, or spims to bring the reality of modern hacking. If you have no idea what we’re talking about, you’re not alone. 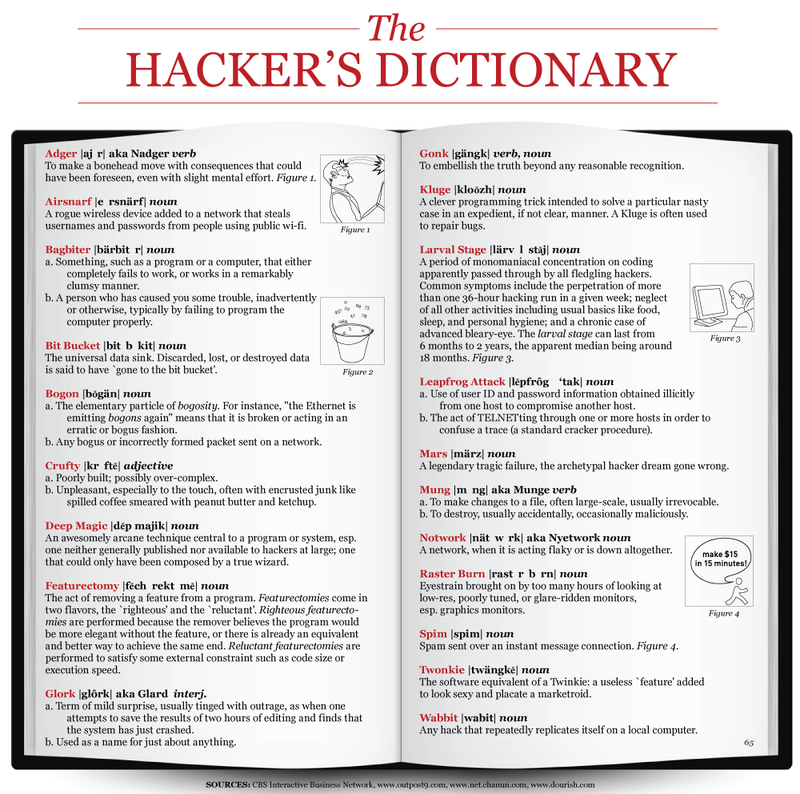 There are dozens of terms used in the world of hacking that sound like gibberish to the rest of us. Luckily, our friends at FinallyFast have put together this dictionary to help us out. Hopefully, you’ll find it to be a true kluge that you’ll save as a handy reference.